Today the Texas Longhorns needed to win against Kansas. It was a must and while many thought it would be an easy win, Tom Herman did not. The final score was Texas 24 Kansas 17 and again fans were getting nervous in the 4th quarter. There was something noticeably missing in the office late in the game...we are trying to find out what happened to Breckyn Hager. 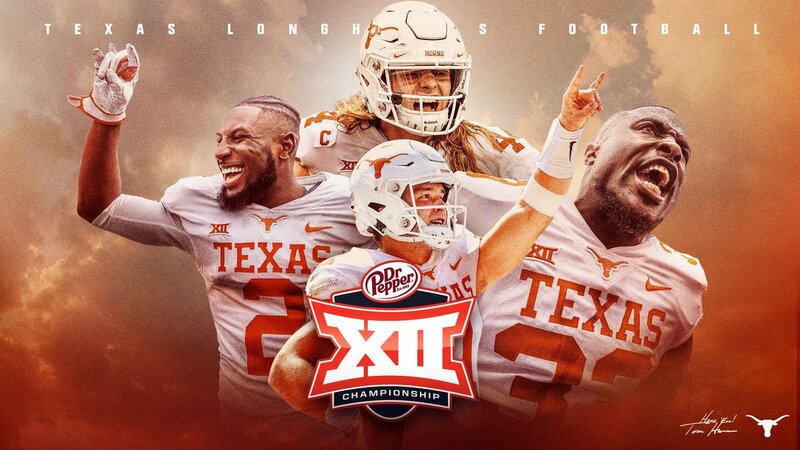 The great news is the Texas Longhorns are going to the Big 12 Champions for the first time since 2009...HOOK'EM! Yesterday at approximately 7:00 a.m., ESPN made an announcement about Sam Ehlinger that exploded the social media when the article broke. (see article here). At today's game, it was reported only 15,219 were in attendance at Kansas. People love hearing Craig Way announce the games and today was again super excited. You can listen to the Longhorns touchdown highlights of the Texas vs. Kansas game here. This is an excellent win on the day after Thanksgiving. There is much to be thankful for: our family, friends, opportunity, and community. 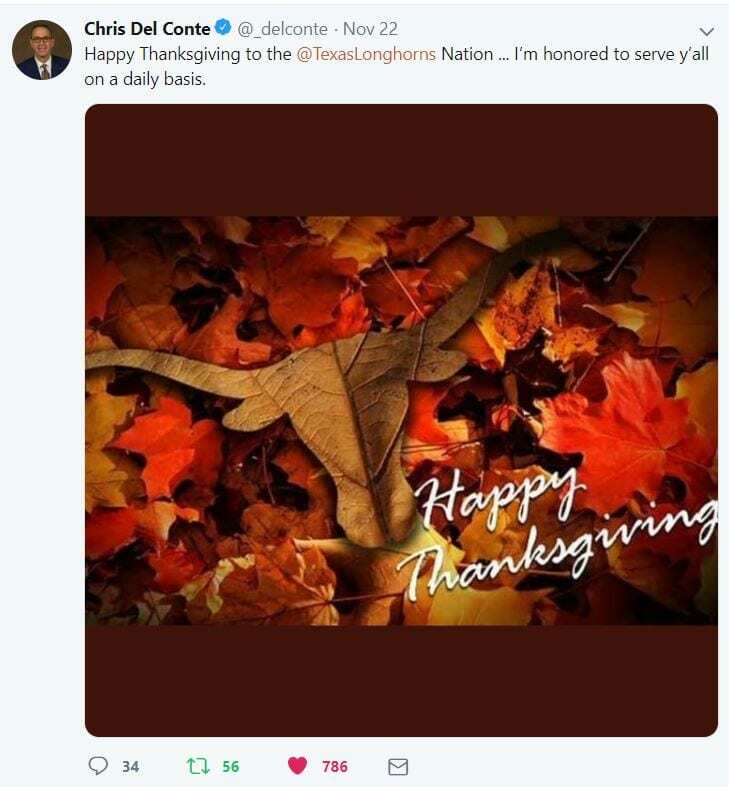 Chris Del Conte, Vice President, and Athletics Director, The University of Texas, posted an excellent message yesterday that gives all of us another reason to be Thankful. His leadership and direction. Thank You, Chris! Texas Longhorns Fans - Stay tuned for more great Insider information from Horns Illustrated. 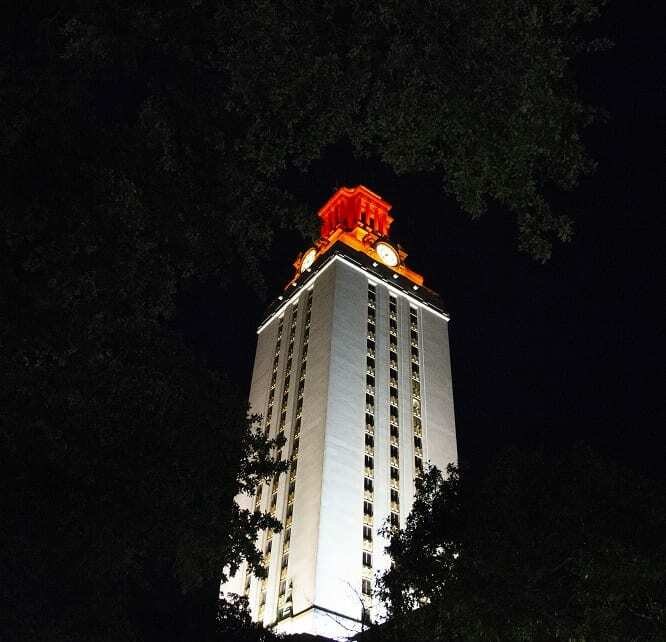 Say it with me - "Light The Tower"